Google Phone with Android 2.1 Confirmed? TechCrunch is reporting on an interesting news regarding the rumored Google Phone which could be revealed early next year. Google Phone doesn’t mean yet another Android device, it will infact be a Google branded phone, designed by the folks in Mountain View, California, running on top of the latest version of Android OS. HTC, the smartphone manufacturer behind the two popular Android handsets, Hero and Droid Eris, is said to be producing the hardware for it. Stuck in mass of traffic leaving work post last all hands of 2009. ZOMG we had fireworks and we all got the new Google phone. It’s beautiful. Another guy who had a hands-on with the device said that the device looked alot like HTC Hero and it felt thinner than the iPhone 3GS. He also noticed scrolly ball like on Hero, capacitive touchscreen with no physical keyboard. …I just had my hands on the Google Phone. I feel so priveleged! 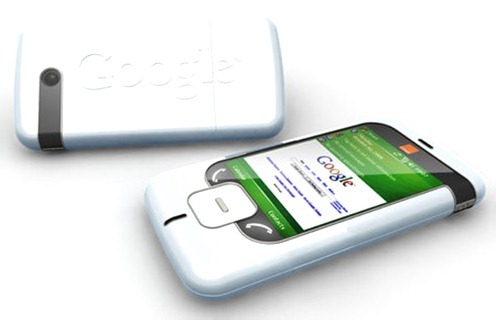 If these rumors are to be believed, then a new Google branded phone may be on its way for 2010 launch. Those of you who were thinking to get a Droid phone may like to hold off from buying one and wait for a few more weeks to see if this Google Phone is indeed, for real. UPDATE 1: Google Phone has now been confirmed by Google. Click here to check out all the info that we know about this upcoming phone by Google. So what makes this different if the Hardware is HTC? Nothing. Google Phone is generic for all Android Based Phones. Google hasn't opened a plant in China or have they? I just got the new Motorola Droid. LOVE it! And I was very skeptical. But it is a dream to use. Love the slide out physical keyboard. Won't do without it!